Australia was one of the major P-51 users and, with the United States, the only country to produce the model. Starting in late 1944, No 3 Squadron of the Royal Australian Air Force, based in Italy, was equipped with Mustang III and Mustang IV. The following year, in prevision of the invasion of Japan, 214 P-51D and 84 P-51K were delivered to Australia. Because the war ended earlier than expected, these aircraft only had a short career in Australia. As early as 1942, license-production of the Mustang in Australia by the Commonwealth Aircraft Corporation had been considered, but the first aircraft was only delivered in 1946. 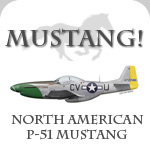 A total of 200 Mustangs were built in different models (CAC CA-17 Mustang Mk 20, CA-18 Mk 21, 22 and 23), all being quite similar to the original P-51D design. The Mustang was used by the Civilian Air Force which was reformed in 1948 with five squadrons (one for each Australian state capital), and with No 76, 77 and 82 squadrons. No 77 Squadron was sent to Korea in June 1950. Before it was reequipped with Meteor F.8 jets in April 1951, this unit lost 8 pilots and 18 aircraft in combat The last Australian Mustang was withdrawn from active service in June 1960. Can you help us write this article ? We are looking for any data concerning the P-51 in RAAF service : articles, photographs, records, etc. Thanks for your help.